ICUS was founded in order to squarely face this challenge. …from a variety of nationalities, religions and cultural traditions. The International Conference on the Unity of the Sciences (ICUS) is an interdisciplinary academic forum dedicated to examining the important issues confronting our contemporary world. ICUS is sponsored by the International Cultural Foundation, Inc. (ICF), which is a non-profit organization set up to promote academic, scientific, religious and cultural exchange among the peoples of the world. 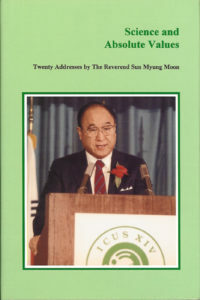 ICF was founded in 1968 by the Reverend Sun Myung Moon. Starting in 1972 with 20 participants, ICUS has continually expanded its scope, while also deepening its relationship with the worldwide academic community. During its tenure, the conference has come to be recognized as a forum for scholars and scientists committed to addressing issues of fundamental concern to humanity. ICUS now has a global network of cooperating scholars. Apart from its meeting, ICUS also has an impressive and expanding publication program. ICUS Books includes volumes that come from conference committees as well as other single-authored manuscripts. In our common effort to build a better future for all peoples, there is little question but that we face significant and even discouraging challenges. Many scholars and scientists, of course, devote themselves to exploring and finding solutions to the most pressing global concerns. Breakthroughs in science have contributed greatly to our knowledge of the world and to our understanding of and ability to deal with disease, famine, overpopulation, under-development and environmental pollution. Yet despite advances in science, humanity is presently confronted with grave dangers, some of which result from the often unintended but harmful side effects of technological applications of scientific knowledge. 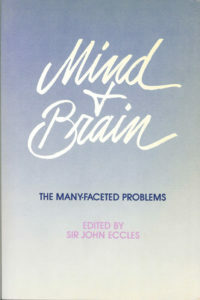 At the same time, the problems which humanity now faces are not merely of a material or technical nature. As we know, it is oftentimes the more cultural and ethical factors which serve as the decisive forces in creating success or failure for the world’s peoples. These cultural and ethical factors, however, are not generally understood as being easily integrated with a scientific worldview. Science, which has probed the depths of the natural world, rarely assigns itself the task of exploring fundamental ques-tions having to do with the meaning and purpose of human existence in the universe. These areas of exploration have often been taken up by philosophers, artists, theologians and mystics. Such explorers, like scientists, also seek to under-stand and eliminate unnecessary suffering in our world. They do this by identifying and teaching values which must serve as the foundation for individual and social existence, and which are productive of greater human fulfillment. Intellectual endeavors will solve human problems effectively only if we can appreciate standards of value which serve to guide the theoretical quest and practical application of scientific knowledge. The global challenge to scholars, as understood in the ICUS perspective, is multidimensional. On the one hand, there is the need to understand and contribute to the possibilities for a fuller and more meaningful human life for all, by providing tools for comprehending and averting life-threatening situations. At the same time, ICUS also sees the global challenge as one that requires a transformation of the very practices by which the academic community acquires knowledge and seeks to address these challenges. This transformation involves not only the effort to integrate science and values, but also the commitment to a cooperative, interdisciplinary approach to inquiry. ICUS was founded in order to squarely face the challenge discussed above. This founding spirit includes the firm conviction that the world’s scientists and scholars have a great potential to substantially contribute to the progress and well-being of humanity. ICUS was also established in order to foster the participation of the academic community in an international, interdisciplinary dialogue which considers the possibility and promise of an integrated, holistic and non-exclusive worldview founded on the premise of absolute, universal values. In stating this underlying purpose, ICUS recognizes that the premise of absolute values may not be accepted by all, or even a majority, of participants. Nevertheless, it is possible to identify certain ennobling values that have inspired people over the ages, such as the pursuit of truth, beauty, and goodness–ideals that benefit all of humanity. The clarification of these shared values and their implications is worthy of serious study, whether or not these values are presumed a priori to be absolute. If scholars are to be able to chart a promising course for humanity’s future, scientific knowledge must be related to values. ICUS provides scholars with a rare opportunity to discuss timely issues in the company of a distinguished, international group of colleagues. As ICUS committees address problems of global concern, there is a concerted effort to extend the inquiry beyond conventional disciplinary limits. When, for example, topics such as development or education are considered, a variety of perspectives are included, such as technical, theoretical, philosophical and ethical orienta-tions. In this way a more cooperative and comprehensive analysis can be made. Indeed, much of the distinctiveness and importance of ICUS resides in the fact that it is an international forum which examines topics in an interdisciplinary way and with paramount attention given to the factor of values. ICUS participants are encouraged to use the resources at their disposal to discuss and contribute to the achievement of an improved understanding of our changing world. In this respect, science is understood as having a significant role to play, both as observer and participant, in contemporary processes of world transformation. From the observations discussed above, it follows that there are two fundamental criteria which underlie the approach which ICUS committees take in considering particular topics such as the origin and nature of the universe, biological evolution, biomedical ethics, economic development, environmental studies, education, or the comparative study of worldviews. First of all, ICUS is characterized by an inter-disciplinary and unified approach to inquiry. This “Unity of Knowledge” criterion helps ICUS either to avoid the pitfalls or to move beyond the over-specialization and fragmentation which may characterize mono-disciplinary studies. Second, with its “Science and Values” criterion, ICUS underscores the centrality of values as they operate both in the practice of science and in the subject matter of science. ICUS thereby emphasizes the need for an integration of scientific practices with a value perspective. Committees with a “Unity of Knowledge” focus consider specific topics with a comprehensive analysis, relying on the input from many different disciplines. At the same time, a committee might take upon itself the task of exploring the very desirability and possibility of obtaining a “Unity of Knowledge” perspective: that is, scientific methodology itself may be examined. Committees that have a “Science and Values” focus reflect on the philosophical, religious, cultural or ethical issues that are relevant either to some particular form of scientific inquiry or to some area of scientific application, such as health care or the environment. In the context of these characteristics, each ICUS meeting is challenged to address an overall conference theme. Past conference themes have included, “The Responsibility of the Academic Community in the Search for Absolute Values,” “Modern Science and Moral Values,” and “Absolute Values and the New Cultural Revolution.” These have encouraged both the examination of the profound changes –changes related to advancing technology or modernization, as well as cultural flux –in our world and the effort to responsibly address global problems in a way that leads to the material and spiritual betterment of all people. ICUS is dedicated to a continuing study, in an atmosphere of complete academic freedom, of the underlying themes of the “Unity of Knowledge” and “Science and Values.” Participants in ICUS come from a variety of nationalities, ethnic backgrounds, religions and cultural traditions. Thus, while participants’ interests and expertise overlap to a degree with the vision expressed by the Founder, this overlap is generally only partial. The sponsors of ICUS do not expect participants to accept more of the Founder’s vision than they in good conscience can. While many ICUS participants may be active in various other causes and activities, ICUS is completely independent of all other organizations, programs or political movements. In summary, ICUS’ purpose is to investigate with full academic freedom the enduring themes of the “Unity of Knowledge” and “Science and Values,” and to study as scholars the scientific as well as the ethical and social implications of the specific themes of the conference.The International Conference on the Unity of the Sciences (ICUS) arises from the commitment of the Reverend Sun Myung Moon to create an integrated worldview which can serve as the basis for a peaceful, harmonious future. Only such a worldview can provide order to human knowledge and a resolution of conflicting values premises. Hence, the two enduring themes of ICUS -“Unity of Knowledge” and “Science and Values”- have been raised as a challenge to stimulate the research and creativity of the world’s scientists and scholars. Starting in 1972 with 20 participants, ICUS year by year expanded its scope as it deepened its relationship with the worldwide academic community. This growing phase culminated with the historic Tenth ICUS, which convened 808 participants from over 100 countries in Seoul, Korea in 1981. By this time ICUS had gained recognition from the world academic com munity as being truly unique as an interdisciplinary, international gathering of scholars and scientists addressing issues of fundamental concern to humanity. Now a worldwide network of cooperating scholars has been established and, together with ICUS, several other ICF programs are helping to sustain this network. Thus ICUS is presently moving toward smaller conferences. More focused attention is being placed on publishing committee manuscripts that contribute to the two fundamental ICUS themes, and enhance the cross-disciplinary dialogue.